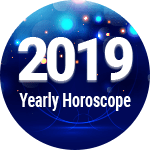 The Gemini 2019 horoscope says that this year will be very crucial and significant for all the Gemini people, as there will be a lot of alterations and variations this year, for all of you. There will be both positive as well as negative changes that may occur this year, which will be affiliated with your personal life. This year will be like a roller coaster ride for you, with both optimistic as well as pessimistic experiences. Jupiter transits in your 7th House and from 2nd December it will transit in the 8th House which will mark as a very critical event in your life. Therefore, as per the Gemini 2019 predictions, it is advised that you take proper care of your health as there are chances that you may face some health problems, especially the ones that may affect your knees and stomach. So, keep a watch and try to indulge in healthy workouts and a proper diet as per Gemini horoscope 2019. This year will ask for a lot of hard work from your side, especially in the field of education, as you may have to be extra careful now, says Ganesha. You may have to put much more stress on the same, if you are planning to specialize in a specific field, to be particular, according to Gemini 2019 yearly horoscope. This time of the phase also looks like a very average period for love and other relationships to flourish and thus attention is required in these matters as well. You may have to put in constant attempts to make sure that the core of the relationship is in place and that there is no hardship involved whatsoever. The good news is that your partner will always stay with you, to support you through your thick and thins, this year. She will be your source of encouragement and a friend in need, who will aid you in your personal as well as professional life, in accordance with the Gemini 2019 horoscope. This seems to be the best time to confess your love for someone, as the time will serve you the best and benefit you in making the right decisions, related to relationships. Along with being in a new association, you will also share a great bonding with the existing relationships that you have, making you all the more closer to them as per Gemini in 2019. Another element to be taken into consideration is your behavior towards other people, in general. It is necessary to be polite and gentle while communicating with others, and this has to be taken care of at the earliest, as stated by 2019 Gemini horoscope. As far as your career is concerned, this year will show you a lot of modifications in terms of your work related matters. You may witness a lot of changes and may have to take a lot of important decisions this year which will affect your career drastically. Thus, be calm and wise while doing so, be it business or a job. You may have several new opportunities to choose from, which will directly influence your career, as per your Gemini horoscope 2019. So, be alert and smart while making your important decisions related to your career, this year. Gemini Horoscope 2019 Overall rating: 4.6 out of 55 based on 1322 reviews.